Region of Tbilisi city tour: Old Tbilisi city tour covers old town itself and Rustaveli avenue. Starting point: Hotel – if it is located in the old city, or Metekhi church. Tbilisi city tour starts at Metekhi plateau, from where is perfect panoramic view to the old city – Narikala fortress, Bath district, Meidan, Kala district, Betlemi district – so tourists can have a look at the whole old city, which they will explore in the next few hours. Here is located also statue of king Vakhang Gorgasali – founder of Tbilisi, and tourists will learn about history of the city. 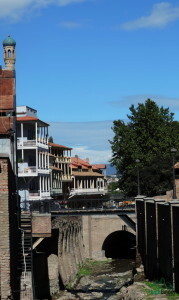 Cable way, it connects new park Rike with Narikala fortress. 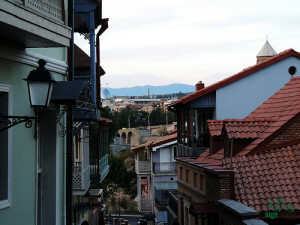 Few minutes travel by cable way and enjoy magnificant views of Old Tbilisi. From the top station of cable way are views to the old city and botanical garden. Fortress Narikala. Fortress basement belongs to IV century, near bath district also were found remains of settlement of IV century. Fortress is built on the hill, so from there is perfect view to the old city. The bath district and Legvtakhevi are the very heart of the city. According to the legend Tbilisi history starts from the hot sulfur springs. Here is also archaeological excavations, where were found oldest layers of the city. Via the bath district runs tiny river Legvtakhevi. Its beautiful canyon was hidden during decades, and only now it was reconstructed – now we can see its historical appearance. Meidan – the heart of old city. Central square which used to be trade center of the city and now is surrounded by nice cafes. Trade and craft district of the city – in Tbilisi were 18 Karavan-sarays – kind of hotel for traveler traders. Here they were living and on the first floor selling their goods. Such Karavan-Sarais – in Georgian Karvasla – were spread in whole middle east and are ancestors of modern trade malls. Tourists will see couple of them. Synagogue – as Tbilisi used to be cultural and administrative center not only for Georgia, but for whole Transcaucasia region, it became very multinational, multireligius and multicultural city. Here in one district are located mosque, synagogue, Georgian churches, Armenian church, and Catholic church and historically till now people of different nationalities and religion live peacefully beside each other. Sioni cathedral church – built in XI century used to be main cathedral church of Tbilisi. Here is saved one of the most important sacred objects of Georgian Orthodox Church – cross of st. Nino – converter of Georgians. Freedom square – now days is the city center, but centuries ago it was the edge of the city. Here is located National Museum’s treasury, which tourists will visit. Baratashvili avenue – one of the most nice avenues of the city, in old times it also was city edge and now here are remains of the old city walls. During reconstruction works here were found city gates dated by XI-XIII centuries, which were saved and there are made trails for people to walk around. 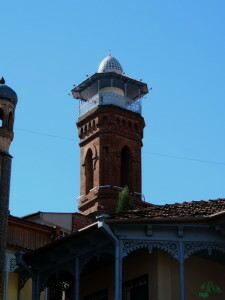 Tower clock – modern bizarre tower built by head of puppet theater – Rezo Gabriadze became favorite attraction for local people and tourists. Anchiskhati church – the oldest building of the city, dates back to VI century. Bridge of Peace – modern walking bridge only for walking in the heart of the old city. Good place to make good photos. And of course the heart of modern city – Rustaveli avenue, with cozy cafes, different and colorful shops. Here walking tour in old Tbilisi ends. Tourists will learn history of the city and which interesting places they can visit during free time.